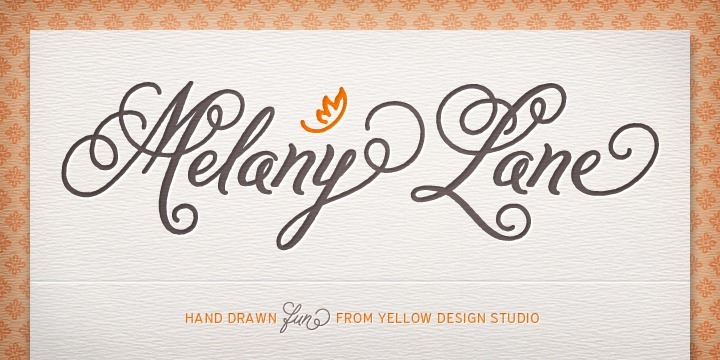 Melany Lane originated at the Yellow Design Studio. It is a typeface flourish script based on conventional letter forms However, the added quirks and its original warmth make it unique. Created by Ryan Martinson, the font enjoys letters that are connected traditionally. It is also renowned widely among typeface fans for its unique expressive charm. Contextual alternates ensure added flair with unconnected letters. It is also blessed with supplementary contour options. The beautiful font is compatible with open type friendly applications.